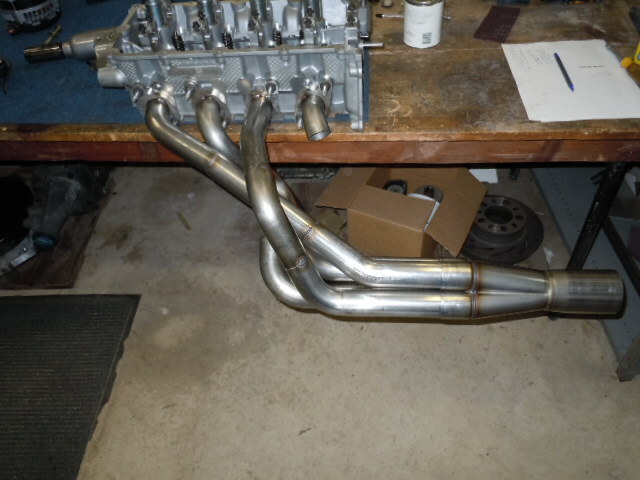 Project Coyote actually started with the construction of Robert Hindman's 2012 D/SA Cobra Jet Mustang. 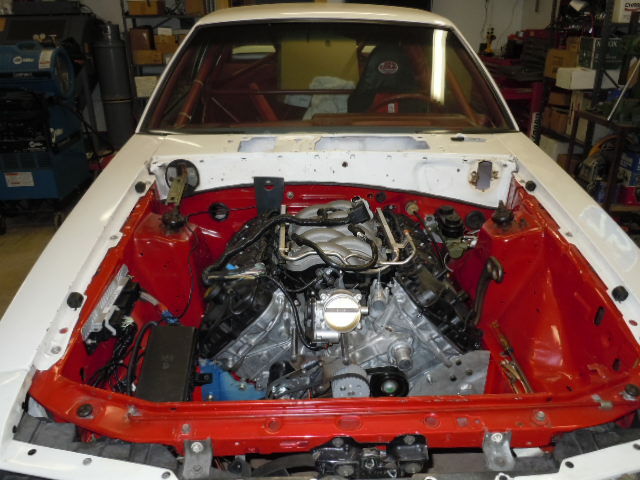 Project Coyote also includes transplanting Coyote 5.0 Liter engines into my 1982 Mustang, my 1995 T-Bird and into Jimmy Ronzello's 1998 Mustang. 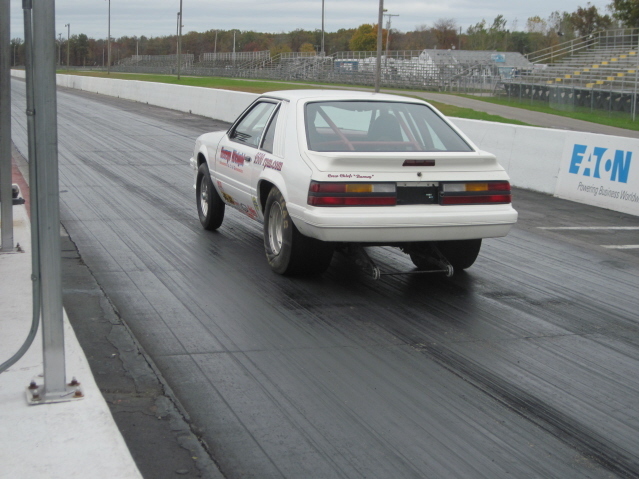 Robert Hindman's car was finished in August of 2011 and raced by Jimmy Ronzello at the US Nationals (Indy). 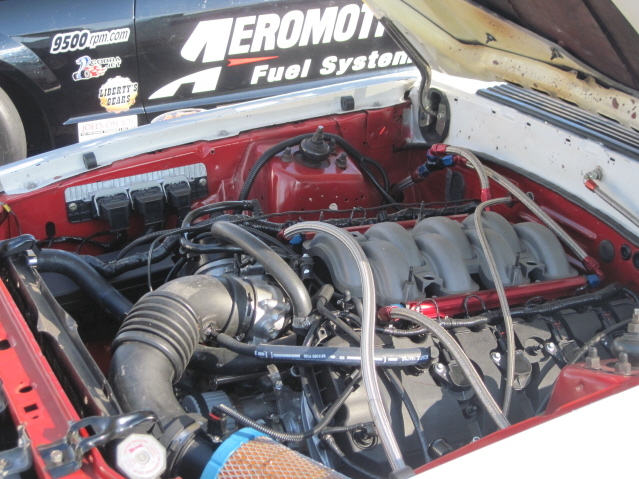 Jimmy was runner up in class eliminations at the US Nationals. 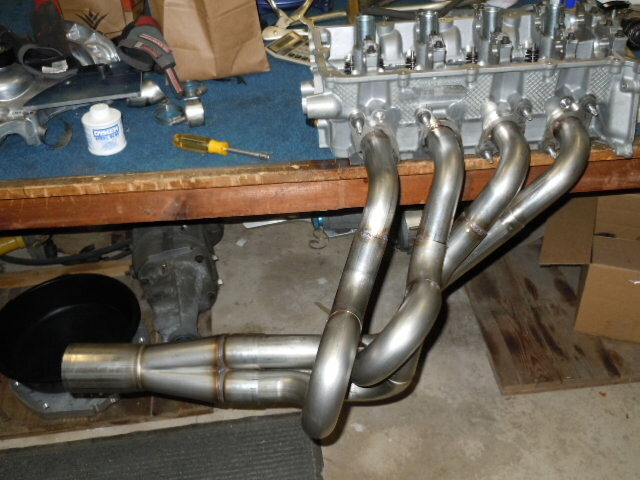 From there we took Robert's Cobra Jet to the Sports Nationals in Colombus, Ohio. 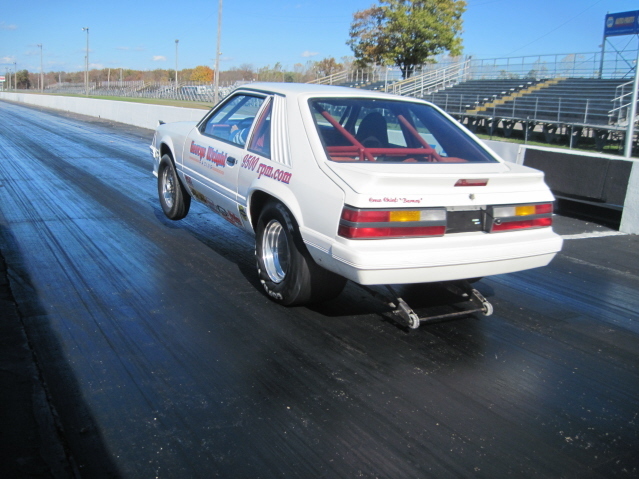 We set the NHRA D/SA record to 10.64 @ 125.75 MPH. 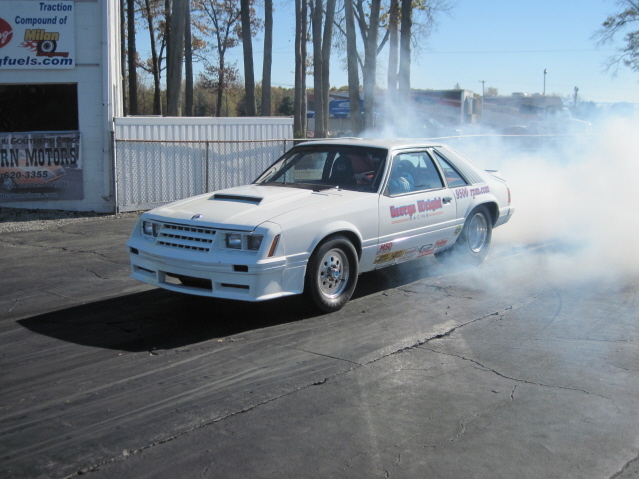 Robert met us at Colombus and took delivery of his 2012 Cobra Jet there. 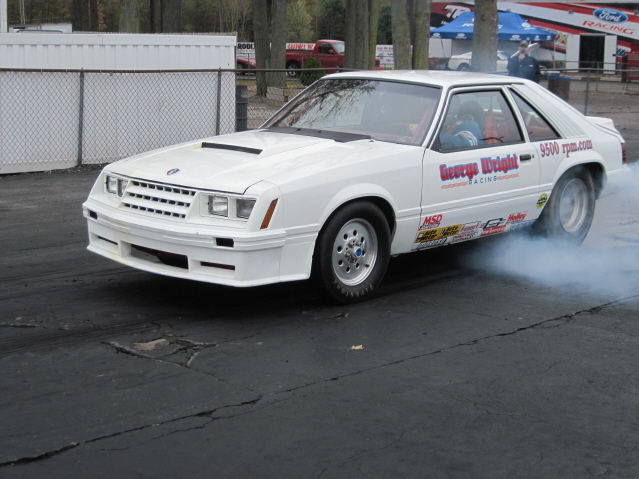 Robert will campaign his Cobra Jet in NHRA Stock in Division 2. 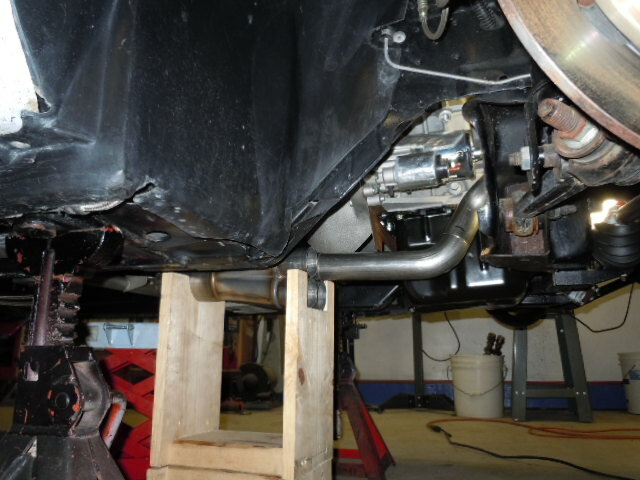 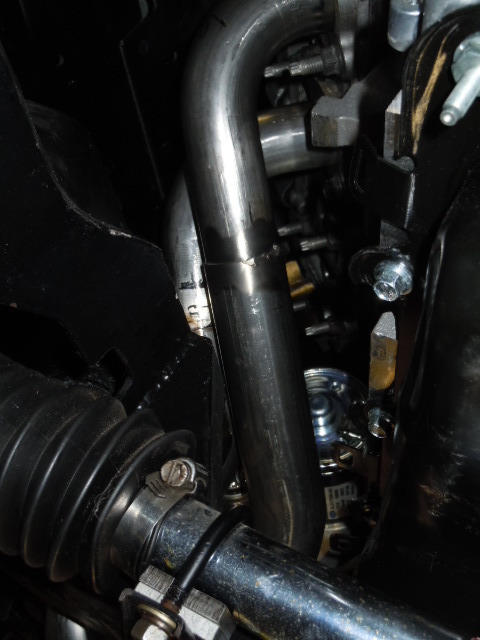 I began work on installing a Coyote in my 1982 Mustang in the Spring of 2011, but other projects delayed the completion until late September. 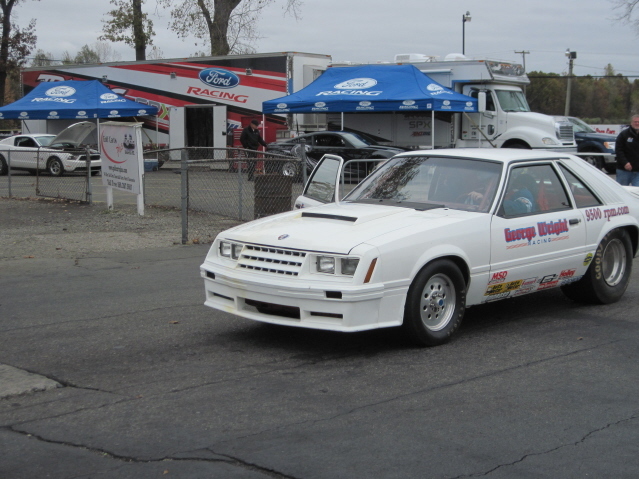 I was able to test my 1982 Mustang at the Ford 2013 Cobra Jet test sessions held late in October 2012. 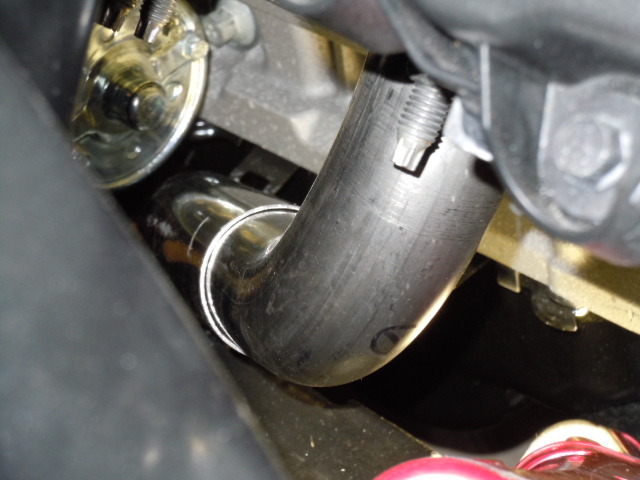 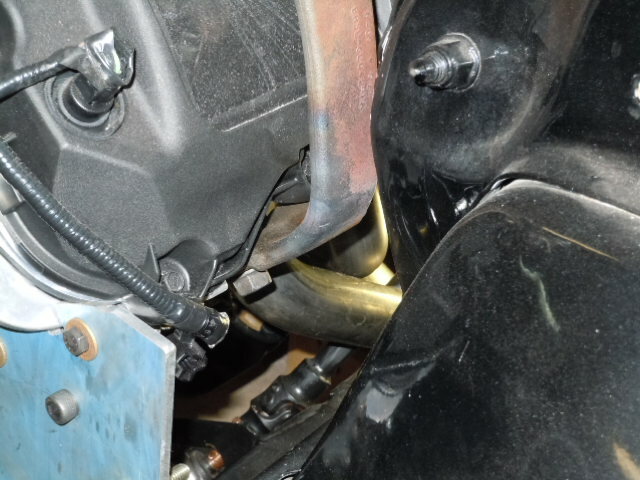 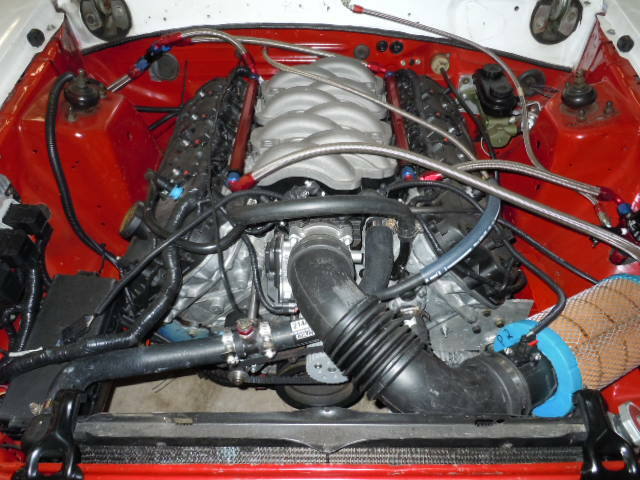 The engine I tested with was a completely stock Coyote 5.0 Liter. 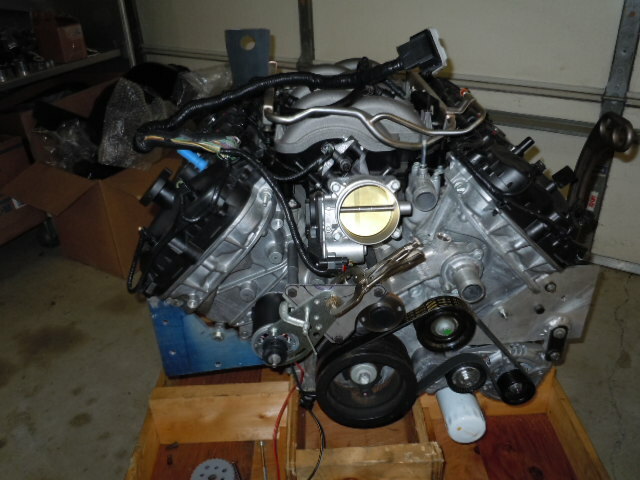 This is not a BOSS engine, it is a 2012 Mustang GT Coyote engine. 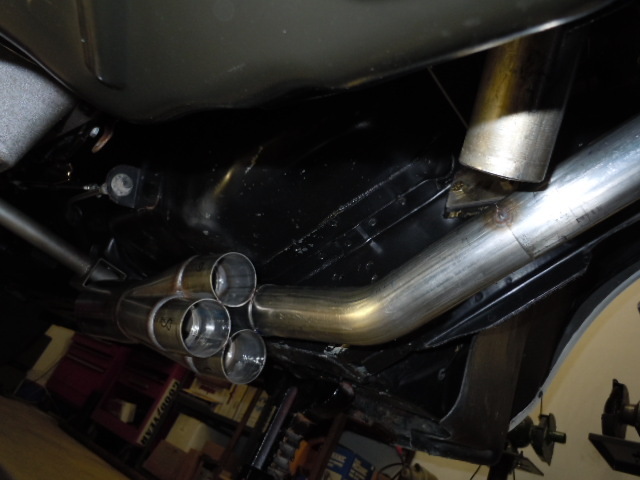 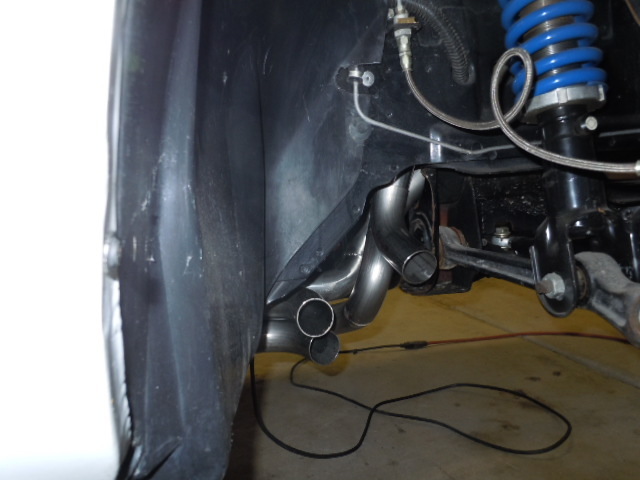 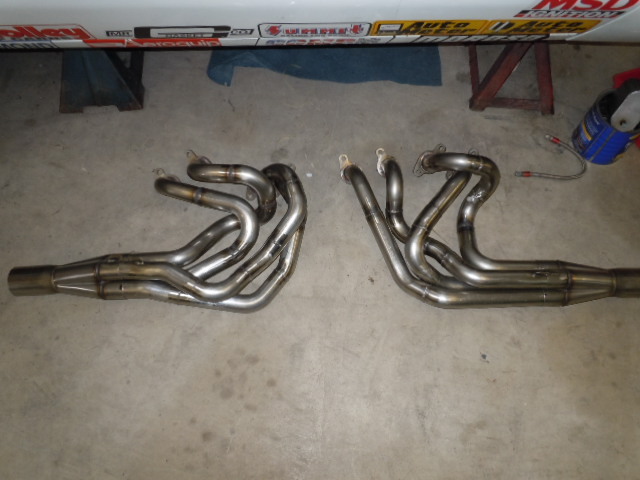 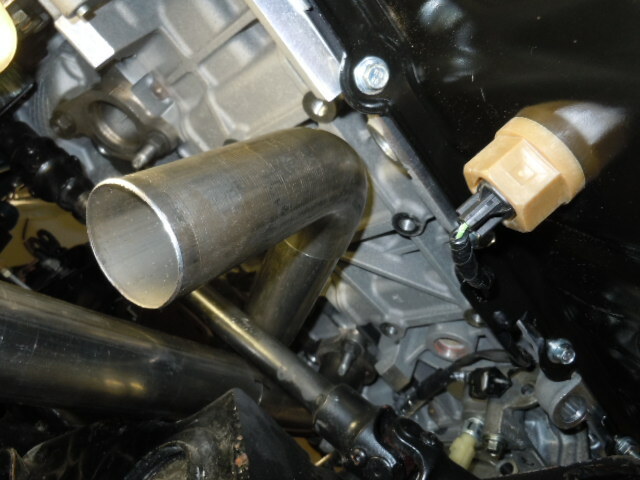 The only PCM changes I made were setting the rev limiter to 7800 RPM. 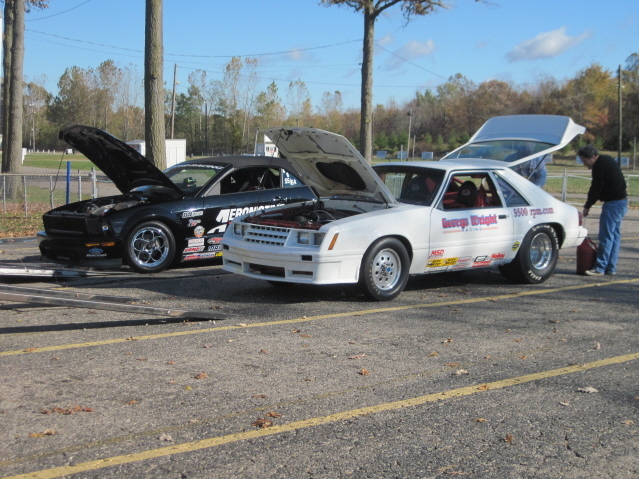 My best time was 10.42 @ 129 MPH. 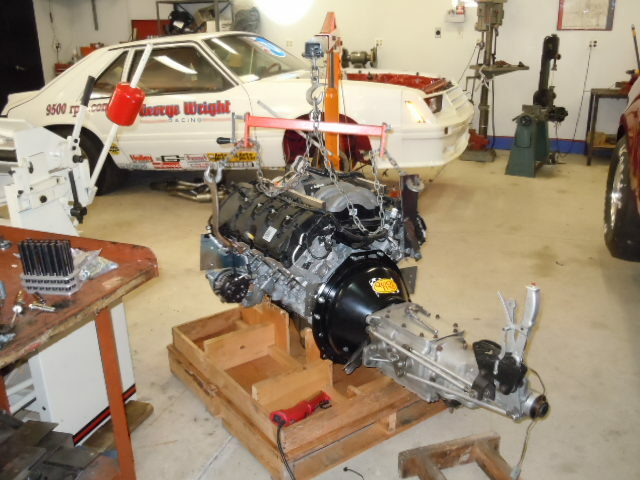 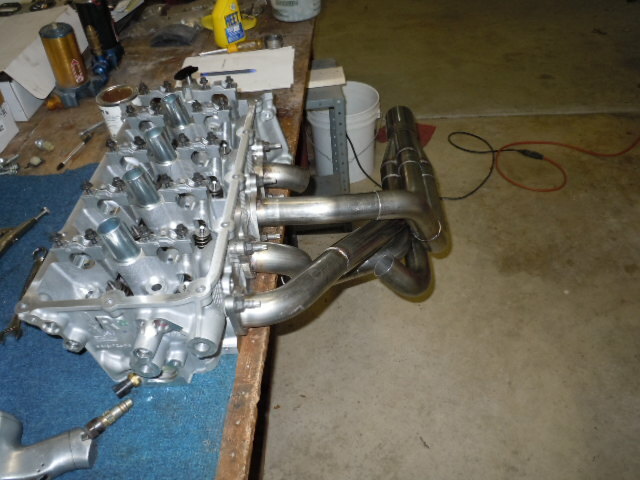 I will be assembling a Super Stock legal Coyote engine for 1982 Mustang to run the car in GT/B. 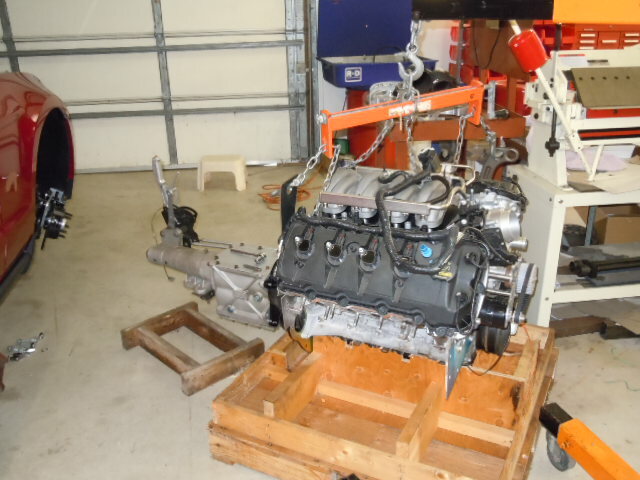 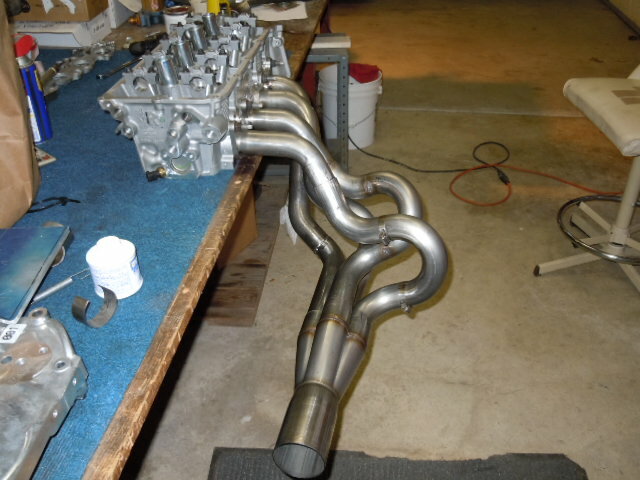 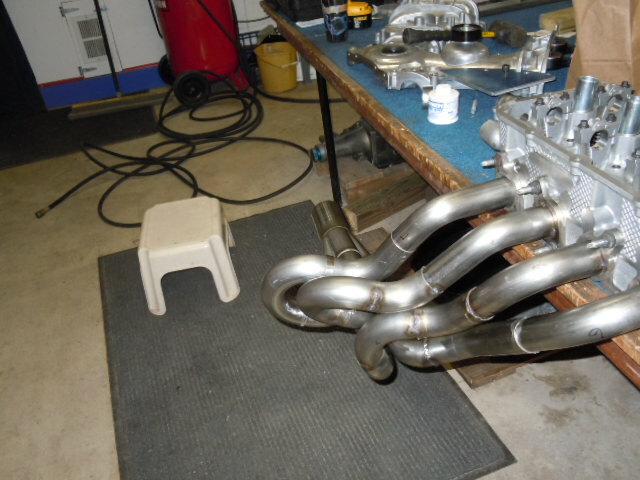 I plan to have that engine completed and in the car sometime in 2012. 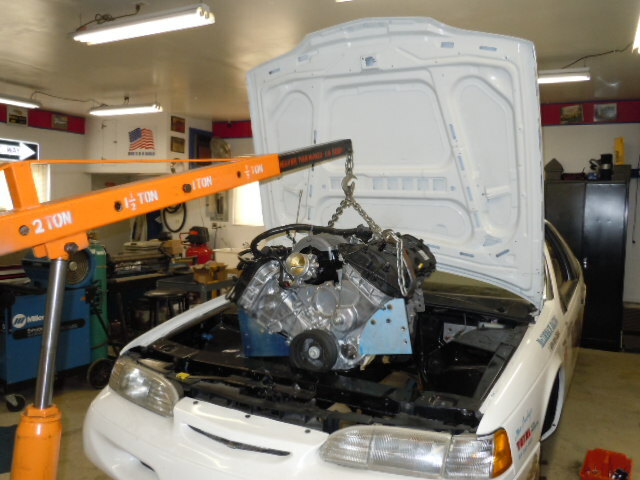 I have also begun to install a Coyote 5.0 Liter engine in my 1995 T-Bird.